Thank You for today. Today is wonderful Sunday. We are happy today. I am happy today. The last day of March’2013 is good. Whole month is good and productive. I have complete the promise to write a post here every day. I read English book every day and archive a speed one 578 pages book in a month. Congratulations, I respect my promises. Thank You for the month and every its day. Good Bye dear March! “All these happen in the mind. Imagination creates events. What matters is something that happens in the mind.” It is the quote of month. 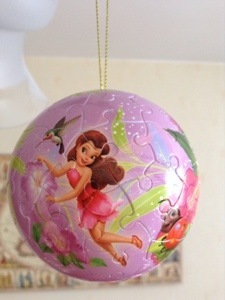 My husband with daughter have build a puzzle magic ball. The ball attracts sunny energy and light. Love and Light live in our house. We are family, we are a good friends.